You have to admire the creators of this brand to come up with a name like Comfee. It probably works better with duvets or slippers, but it also gives you the right feeling about a temperature controlled kettle. 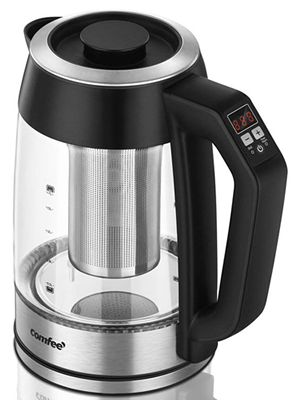 The difference to our previously reviewed devices is that this one comes with a tea brewing strainer within the kettle. It enables the owner to boil the living daylights out of any decent tea leaves or to use it properly and make excellent tea. 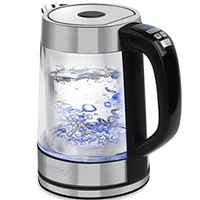 There is something attractive and soothing about glass and water, and the sleek Comfee is no different (see also review of Brevo or the Oxo glass kettle). The angular handle makes it look a bit old-fashioned but provides a good grip. It also contains the controls to set the various temperatures and functions. There are not many good reasons why you would want to use a variable temperature kettle to boil your morning egg. One of them might be that you are not talking to your smaller pots anymore because you had a fight with them the previous night (small pots can be slightly petty). Or, you woke up this morning, and it felt far too bourgeois to use the egg cooker. You wanted to live a little on edge and decided to use a primitive kettle to produce your beloved morning egg. It made you feel rebellious and alive again. Another scenario would be to find yourself in the middle of nowhere with just a temperature controlled kettle filled with water, your raw morning egg, a power socket and mismatched socks. Nothing is better to come to terms with an odd and bizarre situation than enjoying a sliced, peeled or beheaded egg. Place the egg in the kettle with cold water and turn it on. Wait until the water boils and the kettle turns itself off. Activate the keep-warm function (more info about this function here) and wait between 15-20 minutes. Bring the water to the boil, activate the keep-warm function and lower the egg into the kettle. Use a big (wooden) spoon and be careful not to burn yourself. Drain the kettle and make sure you don’t damage or throw out the content while doing so. The first procedure is safer since you don’t have to deal with boiling water. It also requires slightly less time because the egg starts already cooking when the kettle heats up. A disadvantage could be, that water boils violently for about 10-20 seconds before the automatic shutoff kicks in. During this time the egg is thrown around in the narrow kettle and might crack. You could end up with a very messy kettle and a drained, sorry looking morning egg. To avoid the turbulences, turn off the boiling process as soon as it starts and activate the keep-warm function. Also preferred method for hard-boiled eggs (more about this below). Procedure 2 is a more measured approach. Get the egg into the hot water, set the timer and you are done. It is also the preferred method to produce soft-boiled eggs (see below for more information). 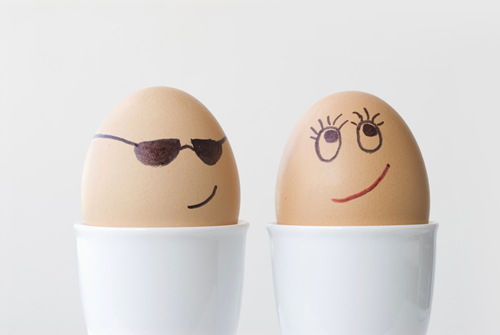 The choice of procedure depends on your egg preferences and available time. The given duration to produce an edible egg varies from kettle to kettle. First, there is the boiling time. 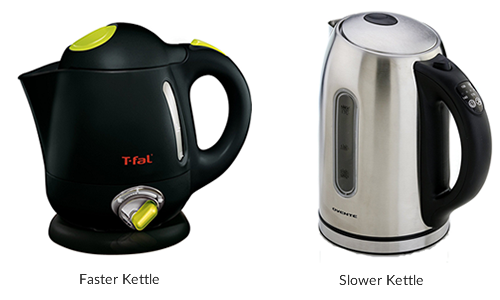 Some kettles boil water quicker than others depending on model (fast boiling: T-fal Balanced Living, slow boiling: Ovente) and wattage (What is wattage? For more info see here). Secondly, the keep-warm function. It means that the device is keeping the water temperature close to the initially set temperature. For example, if set to boiling the kettle will maintain a close-to-boiling temperature in “keep warm” modus. This function works slightly different in each kettle which will influence the cooking time. Thirdly, your egg preference. 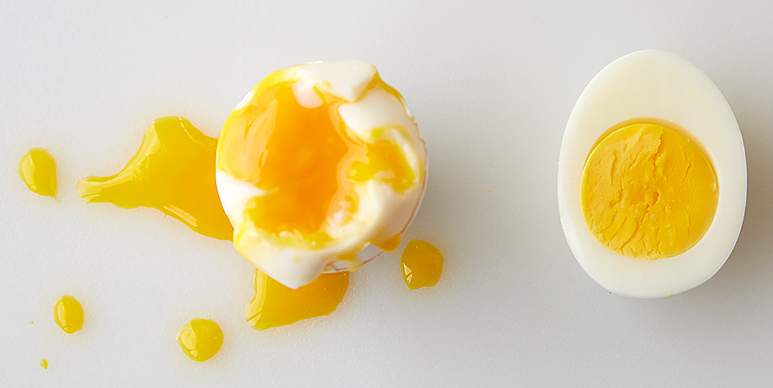 Is it soft-boiled, hard-boiled or somewhere in between? For the soft-boiled version, you should drop the egg into hot water just after the bubbles have settled down. Doing so allows for a firm white but a soft and gooey yellow (see above, procedure 1). A hard-boiled egg benefits when the cooking process starts with cold water. This way the white and yolk cook perfectly together. Fourthly, the size of the egg and how many are in the kettle. The bigger the size, the longer the cooking time. Cooking two, maybe three eggs in one go is the absolute maximum. The more eggs you have in the kettle, the longer the cooking time. To find out the exact time it takes to boil an egg to your liking, in your type of kettle is something you have to try out yourself. To give a rough idea, you need about 15 minutes to produce a soft-boiled egg and about 20 minutes for a hard one. Use just enough water to cover the eggs. Don’t use the egg water afterwards for anything else, like tea, coffee or cooking your vegetables. Eggshells contain calcium carbonate which makes water hard. The shells might also be contaminated. Always rinse the kettle with clean water after an egg-cooking session. – Excellent heat distribution to evenly cook the egg(s). – It is quicker to boil water in a kettle than in a pot. – It is safe. The closed kettle is easy to handle and can be placed out of reach for children. – You can do it anywhere. All you need is – see ingredients above. – It is a bit unconventional – you might get a kick out of it. – It takes a bit longer than cooking the egg in a small pot. – You might end up with a messy kettle if things go wrong. Whichever method and egg consistency you prefer you should never cook an egg straight out of the fridge. They might crack more easily when you put it into hot water. Eggs don’t need to be kept in a fridge in the first place. The next time you buy them pay attention where the supermarket stores their eggs. It will not be in a fridge. One last tip: you get the best results with a fresh egg. The fresher the egg, the better the taste and consistency. The idea of a heated travel mug for the car is clear. You are on the move, and you need to heat something or keep it warm. It could be coffee, tea, hot chocolate, (baby) milk, soup, instant noodles or anything else you want to adjust to the right temperature. It even cooks an egg – provided you want to wait at least 30 minutes. 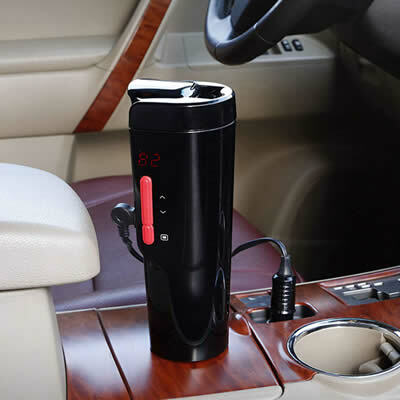 Eastmount Electric is a heated travel mug with temperature control. 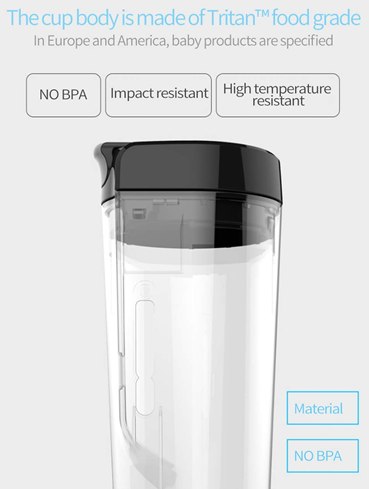 The smart travel mug is a sleek and stylish looking device and has a variable temperature setting. It is not meant to be a kettle, but it can be (almost) used like one. 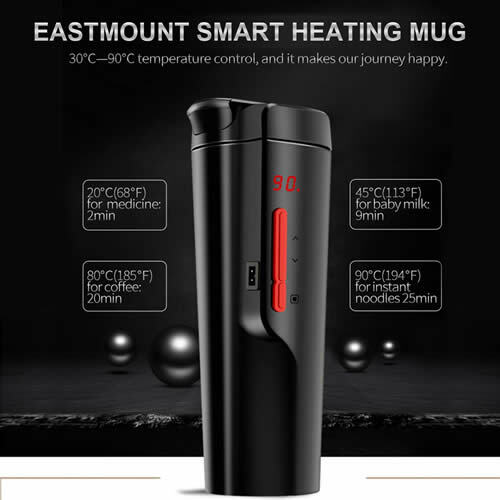 The mug heats up to 194°F/90°C which means you could brew yourself a coffee or tea (black might turn out a bit weak but the temperature is suitable for green, white, Pu Erh or Oolong teas). A cool feature is the color change of the temperature display. It is red when the mug is heating and turns blue when the set temperature has been reached. For security reasons, you should do the heating while you are stationary and not moving. You don’t want hot liquid floating in your car when you need to break hard or have to avoid an obstacle. Stainless steel for the inner container with plastic casing. Plug for the car charger is included. You can get an adapter for a power socket here. It is a simple plug-in-job and also includes a USB charger for phones. Fits in car cup holder (9 in / 23cm high). Due to the low voltage, it will take the mug about 25 minutes to heat water to 194°F/90°C (for more information see the image above). That is quite slow but keep in mind that this kind of mug is primarily there to keep something warm or to heat it just to a pleasant drinking temperature (122°F/50°C – 176°F/80°C). 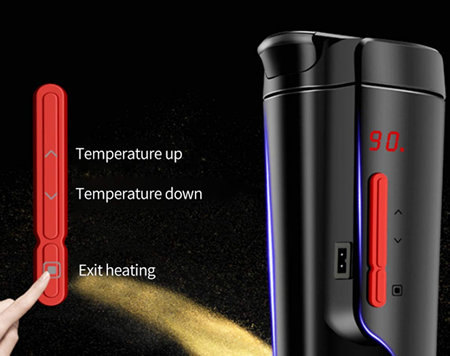 There is a simple up and down button to set the desired temperature. When the mug is heating the LCD will be red. As soon as the temperature is reached, it will turn blue and keep the content at that temperature. A neat and helpful feature. The travel mug has an automatic shut off we already know from the bigger kettles. For example, if there were no liquid in the mug, it would turn itself off and even display an error code which tells you what the problem might be. A long way from being smart (as the manufacturer claims) but better than a fist in the teeth. To keep your mug as clean as possible the inner container can be removed and washed separately. Although plastic it is BPA free (what is Bisphenol A? See here for more info) and safe to use for children. The most important detail is the fact that it fits into your car cup holder. Fits perfectly, looks good and works well – what more can you ask for? Suitable for $$ medium budget. 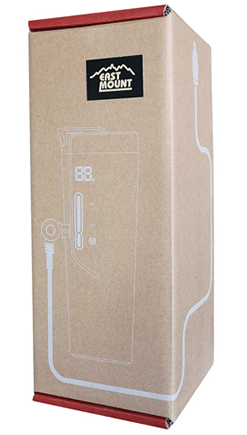 You have to admit – this travel mug looks stylish and modern, doesn’t it? It also works well and provides you with hot coffee, tea or whatever you need while you are travelling. These features all come with a price. There are cheaper mugs available (see below) which do the same thing but not as stylish and playful as the Eastmount product. If your budget allows it, go for it! To go to the manufacturer’s website: could not find one! The plan was to look at a travel mug for the car with temperature control. 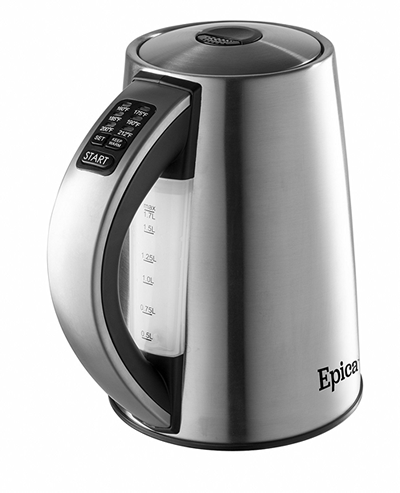 Similar to the variable temperature kettles but without the boiling capability. The idea is that you can heat beverages in your car, so you don’t have to drink cold coffee, tea or baby milk (the baby would drink the milk, not you unless you like baby milk). I had pre-selected two products but discovered that they showed the same (number of) reviews, same questions and same star rating on Amazon. They are from the same manufacturer but are two very different travel mugs. Wattage Explained or Does a kettle boil slower in America? Talking or shouting impatiently to your innocent water kettle is a common sight in homes and workplaces. Responsible for the time it takes to boil the water is the power consumption, shown in Watt (W). It is one of our buying criteria for a temperature controlled kettle (see kettle feature comparison). A travel kettle should be small, compact but still do the required job of heating water efficiently. Even better when the kettle allows you to cook noodles, soups, and eggs in it as well. 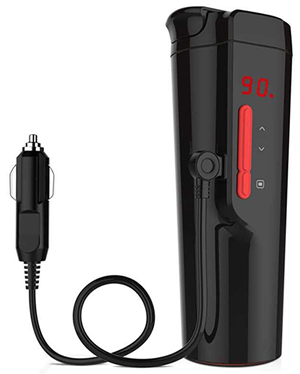 The ideal candidate also comes with variable temperature settings and is very affordable. 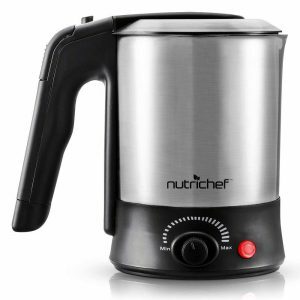 Meet the NutriChef kettle – which combines all of the above features. The temperature is set with a dial on the front of the kettle. You cannot select the exact temperature, it just says “Min” on one end and “Max” on the other. We rarely “decrumb” the toaster, clean the inside of the microwave or fridge. Electric devices should just work – after all, you paid good money for them. What we forget, is the fact that cleanliness is not about functionality, it is about hygiene. It cannot be healthy when the bottom of your toaster develops a flourishing biotope, and the inside of your fridge’s vegetable drawer is starting to grow legs. Hygiene is especially crucial when water is involved. It is the source of life, but you want your kettle to produce clean water and not some sort of primordial soup. Buying beautiful, high-quality tea leaves and ruining it with the wrong water temperature sounds like a daft idea. It is like buying the best steak and frying it in a rusty and buckled pan. Therefore good tea and a temperature controlled kettle is a great match and one of the best reasons (if not THE best) to invest in one. The importance of the quality and temperature of the water cannot be overstated. Your brewed tea contains about 98% water and only 2% tea compounds (for more info how tea infusion works go to this excellent article. If you do not get the water part right, there is very little else you can do to save the tea. Why do we need a temperature controlled kettle? These are the standard excuses for not investing in a kettle with variable temperature control. Do you need a toaster, juicer, or microwave? Not really. You can roast your bread in the oven, squeeze your fruits by hand and heat food in a pot. What makes all the above devices essential is the fact that they do the job quicker, more convenient and with much better results. The same goes for a programmable water kettle.